What is the state of the art in vacuum technologies in the field of energy saving? Designing and creating solutions that allow saving energy is a must. In fact, on one hand, it allows considerably reducing production costs, mainly in all those industrial processes where primary energy has a high cost, while on the other; it contributes to promoting environmental sustainability. However, vacuum plants are frequently misused; being either oversized or neglected due to the lack of information on new vacuum generation technologies, which results in excessive energy consumption. What kind of energy savings does the correct knowledge of vacuum plants allow for? In a vacuum generation plant, the correct sizing and the use of adequate equipment allow saving 50% energy with a drastic reduction of vacuum pumps wear and maintenance. Which is the main mistake made when using vacuum plants? In 60% of cases, vacuum pumps operate continuously, even when the machine or the system they are installed on, do not require vacuum. This results in a waste of energy, premature wear and constant maintenance to prevent machine downtime. All this generates costs that affect the operating economy of the plant. Which are the solutions offered by Vuototecnica? 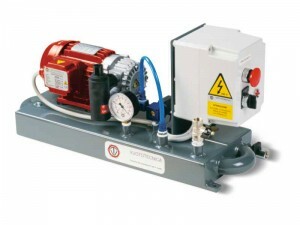 Whenever possible, depending on the work cycle, Vuototecnica offers and recommends using a pumpset (pump and tank) or a central vacuum system (pumps and tank) that allow: reducing the number of direct suction vacuum pumps; concentrating and limiting vacuum pump control and maintenance in one single area; reducing the actual pump operation time by 40%, given the same work cycle of one or more pumps that are always active; preventing machine downtime thanks to the help of safety pumpsets, with vacuum pumps that operate in tandem and control panels that constantly monitor their operation. What kind of investment does the improvement of vacuum generation plant operating economy require? 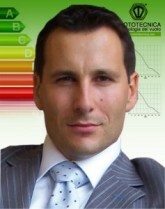 We at Vuototecnica are always at your disposal for an evaluation aiming at effective energy saving. The proposal of centralising vacuum is always backed by a detailed technical analysis certifying the actual costs and benefits, as well as the return on investment. 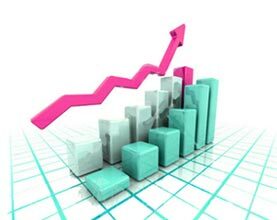 The customer generally amortises the invested capital over an operation period of 6 months/1 year. In this video, we present a clear example of how Vuototecnica solutions can solve taking problems; problems which are a result of poor management of vacuum sources or wrong plant and gripping system design. You can see a gripping system, for metal kitchen skins, amended to include Vuototecnica maxigrip suction cups and M10 multistage ejectors. Previously, the system used neoprene suction cups but they were subjected to strong deformation due to the continuous use and so they wore out faster. Especially in taking sink grooved part, the matter was even more problematic, because these suction cups had to adapt to the irregular surface and therefore they wore faster. 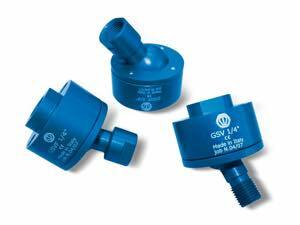 Vuototecnica modified the system by mounting the Maxigrip Benz cups, suitable for steel, even irregular, surfaces. The lip of Maxigrip suction cups is extremely flexible and it allow them to better adapt to any surface – flat, concave or convex – with no risk of deforming or breaking the material, even when it is delicate and subtle. 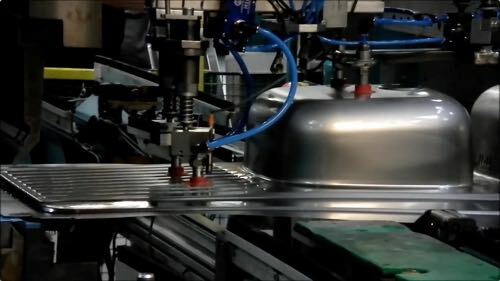 As we can see from the foreground, in this video, suction cups are in firm contact with the grooves of the metal sink, and thanks Benz compound, they are also ideal on oiled or wet surfaces, as well as having much longer wearing times. These cups can be provided in round and elliptical shape, flat or bellows, and they can boast a wide range of accessories (reductions, adapters, couplings). As regards the vacuum generation system, the previous one was replaced (it was made of single stage ejectors) with M10 pneumatic vacuum generators with multiple ejectors that guaranteed greater suction flow and a lower compressed air consumption. For robotic pick and place, Vuototecnica proposes several solutions. One of these, particularly suitable in taking small objects, also in the food industry, involves the use of vacuum cylinders. 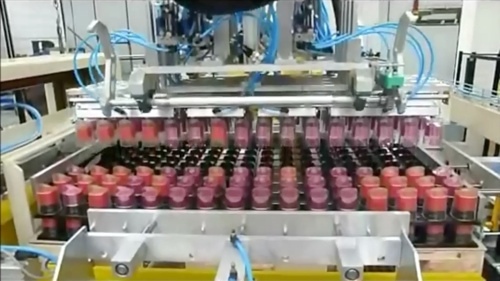 As you can see in this video, Vuototecnica cylinders allow the pick and place at very high frequency and are very efficient. 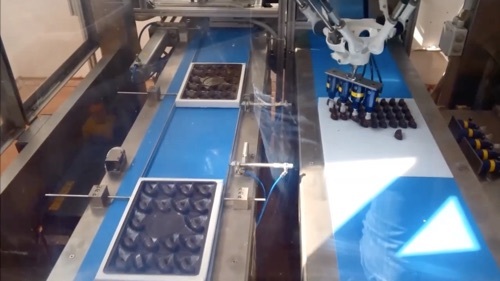 The stable grip allows to center in a perfect way preformed boxes of chocolates, even at high speed. The cylinders operate at depression and are equipped with a front vacuum chamber and a rear one at atmospheric pressure. The higher the pressure differential between the two chambers, the greater the thrust of the piston, where the non-rotating piston rod is connected, on which, in turn, the suction cup is mounted. The object is retained until there is vacuum. Then the rod returns to its initial position to repeat the cycle. The rod, in its movement, compensates automatically heights that divide it from the objects to be taken. The cylinders are made of anodized aluminum with technopolymer bushing that provides lubrication and a long component life. In this video, you can see in action Vuototecnica FVG vacuum generator (Fast Vacuum Generator) and new silicone suction cups 08 20 30 S specially designed for the taking of flow pack products. Please note the speed of gripping and release of the snack packages from a conveyor belt to another. The single-stage vacuum generator with ejector FVG (Fast Vacuum Generator) provides flexibility and reliability, at incredible speeds. As you notice, FVG can sustain high grip and release frequencies (<30 msec). It is very light and you can also install it on the gripping hands; it is usually realized in anodized aluminum. May have a system, which can be excluded in some cases by the customer, for the generation of a counter blow in the suction cup when releasing. The bellow suction cups 08 20 30 S complete the task flawlessly. They are able to compensate for the height and at the same time ensure stability. The lip tightness is very strong on flexible flow pack like those you see in the video, too, so the packaging is no longer a problem. The lip was indeed designed specifically, with some suction canalizations, so that it adapts perfectly to the object to be taken. We suggest watching this video, you can see PVP 12 MX multi-stage vacuum generator and reinforced bellows suction pads – series 08 22 19S. 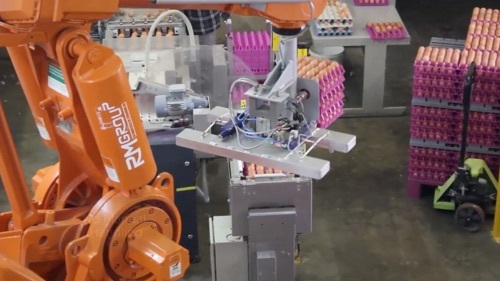 Vuototecnica components were used to simplify the palletization of eggs, stacking the packs of blisters on pallets and the plastic separators, with maximum efficiency. The vacuum generator, as you can see, was mounted directly on the gripping hand, thanks to its lightness and its small dimensions. The body and the cover plate are made of anodized aluminum, the ejectors and the retaining screws are in stainless steel. The sealing gasket is made of EPDM. All quality materials, which also guarantee a long life and easy maintenance. The generator has 4 vacuum connections (one for connection to any control or measurement tools), a vacuum gauge, a quick coupling for compressed air supply and metal end-caps. It is possible to make the working environment quieter with the installation of SSX silencers, able to further reduce the noise level, in itself limited. The bellow suction cups, in contact with the irregular surface of the separator to be taken, shrink back, lifting the load of a few centimeters, so that the underlying separator does not remain stuck to the one raised, leafing through the layers without problems. They also compensate for the surface irregularities, ensuring a firm grip and a precise and delicate release. Read more about the individual components, you can display product data sheets. Among the innovations for 2015, Vuototecnica presented the new Octopus gripper heads made with 3D printer for single pieces. An absolute innovation which allows a customization of the product which was inconceivable before. Thanks to this solution, the problems of manipulation of the customers are processed case by case, with gripping heads which are customized specifically to accommodate the shape of the object to be picked up, allowing to wrap and hold it. The gripping hands are made of ABS and for this reason they can be at the same time resistant and light. Inside the heads is possible to provide for PVR 1-4 vacuum cartridges or single stage venturi generators in order to have the vacuum generation on the molded gripping hand always and however. It is a state of the art solution, ideal for anthropomorphic robots or flexible pickers. Read more and order your customized gripping hand, please contact Vuototecnica staff. For the packaging of medicines and energy products in blister, robotic technology made ​​great strides and requires a clean working environment, now, despite the large amount of dust and waste resulting from the packaging of these products, in compliance with strict industry regulations. 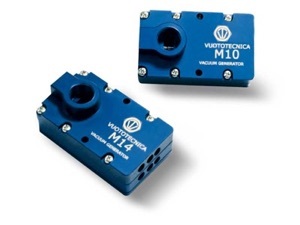 Given the high standards of production, Vuototecnica offers its PVR 1-4 vacuum generators. The considerable advantage of these generators is that even in presence of dust they don’t get clogged and it is possible to integrate them within the machines in a simple and fast way. Their maximum degree of vacuum is -70KPa and they have excellent efficiency even at low pressures of use (2-3 bar). PVR 1-4 do not require suction filters in line, but for those who still relies on traditional applications with centralized vacuum source, as it can be a vacuum pump with rotating vanes, Vuototecnica designed FCL paper cartridge filters. These filters are able to retain all the impurities, from the finest dust. They have many advantages compared to normally used disposable filters. In the long run, you will save money and time otherwise spent on maintenance. Watching them, you understand the potential: they are small and the body in transparent plexiglass allows a wide visual inspection to assess the state of clogging of the cartridge. A gesture only: you can just clean up the paper cartridge with compressed air to start over. If you do not immediately see clogging, do not worry. 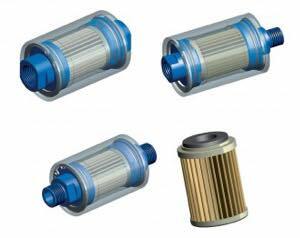 The air flow is maintained even with partial occlusion of the filter cartridge. 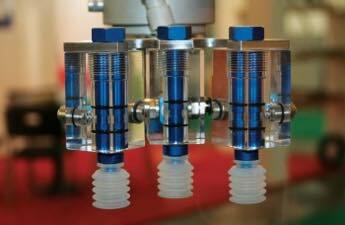 You can install them directly on the pipes near vacuum suction cups and vacuum systems. 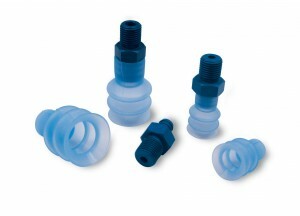 Anyway, the aluminum end caps, with different types of thread, ensure maximum flexibility. You can interchange the connection threaded flange. FCL filters have been specially designed for the management of vacuum and due to their internal geometry, they allow higher section and flow rate than in-line filters you can finde on the market today. La Sfera S.r.l. situated in Cernusco sul Naviglio (MI) has been working for years to help Vuototecnica end customers to choose the right solutions. La Sfera collaborates with technical departments to find the ideal solution and develops projects of plant, machinery and equipment, providing Vuototecnica solutions for automation. “The minimum length is 500 mm, and the maximum is 4,000 mm; the minimum width is 25 mm, the maximum 100 mm; the minimum thickness is 5 mm, and the maximum 50 mm”. Despite the different types of product and the constant changes in size, Vuototecnica gets along in an excellent way and allows ample room for customization. 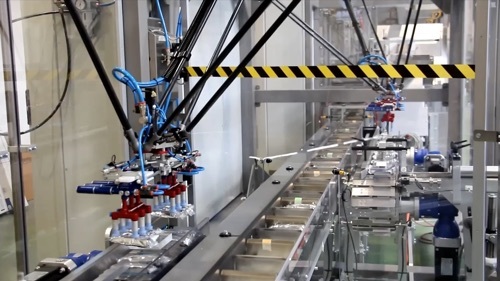 You can see in action a de-palletizer robot in this video. Four Vuototecnica GVMM ejectors and 08 22 19 S bellow suction cups were mounted on it. As you can see, with this equipment, the robot has a maximum operational flexibility being able to work with four independent vacuum circuits for four suction cups rows. GVM modular and multifunction vacuum generators are in fact real autonomous units able to manage the main functions of a traditional vacuum circuit for controlling suction cups for handling. 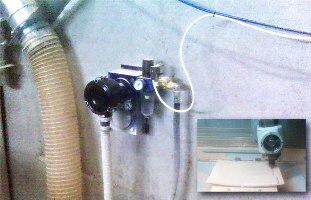 A microsolenoid valve for the compressed air supply (activation suction) and another for the counter blow management (to speed the release of the suction cups), with adjustment screw for the flow rate. 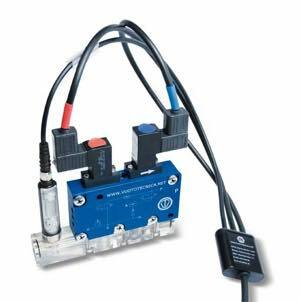 Vuototecnica GVMM can also be equipped with a cable for compressed air energy saving (code 00 15 202 or 00 15 203) with which you can join the microsolenoid valve for the compressed air supply with the digital vacuum switch. By doing so, the microsolenoid valve for compressed air supply of the generator is activated, allowing the generation of vacuum. When the degree of vacuum is at the predetermined maximum from the vacuum switch, this one interrupts the power supply on the electric coil of the solenoid valve and the vacuum is maintained for use (suction cups) thanks to the check valve incorporated in the generator. Only when the vacuum level drops below the minimum value selected with the vacuum switch hysteresis, the power supply is restarted. 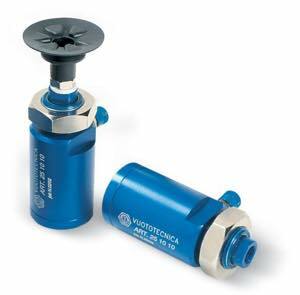 This suggests the great compressed air savings in application environments where the suction cups operate on good seal materials such as metal sheets or glass. GVMM generators are available with different suction capacities (3-7-10-14 mc/h) and a maximum vacuum level of -85 KPa. The suction cup holds the object in the outlet until the vacuum is applied. Then the piston rod returns to the starting position and the cycle is repeated. 08 22 19S bellows suction cups you can see in the video retract very rapidly – after resting on the plastic plugs surface and the vacuum is set – allowing for simple separation of stacked objects. They are available in different compounds depending on the surface to be removed. Every year, it is good remake skis insoles and blades for safety and for the pleasure of skiing in a simpler way. The skis insole need, in fact, to be regenerated, because during the summer it can dry up and the blades are prone to deterioration; therefore they can make downhill on slopes difficult and dangerous. For ski maintenance, in order not to ruin the blades with mechanical presses, you can rely on special machines, which use vacuum clamping systems such as Vuototecnica rectangular gripping suction cups with self-locking support and release button. These clamping systems for skis are powered by mini depressors. 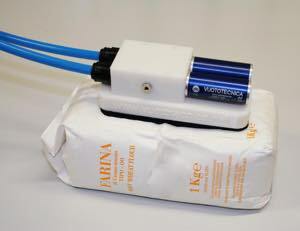 Vuototecnica produces mini depressors characterized by extremely reduced dimensions, which can be electrically powered (DO series); small autonomous units for the vacuum production; composed by the combination of a dry or lubricated vacuum pump with a suction capacity floating between 2 and 20 mc/h and a storage tank with variable volume between 6 and 20Lt. 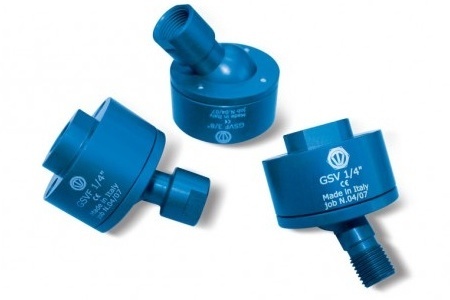 The preservation of vacuum degree inside mini depressor tank, in welded steel plate and with a perfect vacuum seal, is preset with a mini electric vacuum switch (12 02 10) which manages the two vacuum value thresholds of pump attack and disconnection; maximizing intervention terms. Each mini depressor is also equipped with a vacuum gauge to read out the vacuum degree; a control device, in a special protective case; a manual valve for vacuum interception, a faucet to drain any condensation drawn with use. Car manufacturers know that the stage of production and assembly of cars is important to have a quality product. So in recent years small video showing skilled workers in action at the production line – are increasingly popular. Their purpose is to advertise cars performances. The connection is intuitive: product care in the production line means an excellent workmanship vehicle. The robotic handling of cars sheet metal, glass and plastic components is part of this quality process in which Vuototecnica has been working for several years in collaboration with leading manufacturers engineering departments. Beginning with solutions specially designed for gripping and handling curved and uneven surfaces such as car bodies or special molded plastic to be removed from the presses. Vuototecnica swivel joints (GSV and GSVF), in anodized aluminum, have a great deal of flexibility for these tasks: they allow you to rotate the suction cup installed on them up to 360°, and to tilt it on its axis up to 35° to block it correctly respect to gripping surface of the object to be taken, ensuring, at the same time, the suction through the hub and a perfect seal. 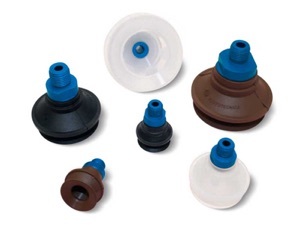 These joints are recommended on grippers together with Maxigrip cups, suction cups that have an unmatched grip on metal plates and glasses in contact with oil, grease and gasoline. Fluids are drained and the lip is able to adapt to any surface characteristics. Without a trace. Suction cups for the automotive industry can also be produced in BENZ compound, resistant to chlorine which is usually found in oils for deep drawing and metal sheets stamping. 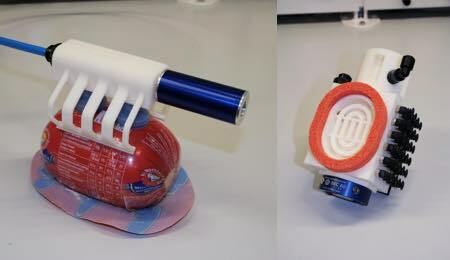 For vacuum generation, Vuototecnica designed a device that can be mounted directly on robots, even on smallest and flexible ones. AVG (Automotive Vacuum Generator) has a single-stage ejector which allows for faster vacuum generation with the same flow compared to multi-stage ejectors generators. The grip is a snap in this way. Consider that compared to traditional generators AVG allows an air energy saving of 40%. A pneumatic vacuum switch is fitted as standard able to interrupt the power supply once reached maximum preset vacuum deegree and then it is restored only when the value falls below a minimum threshold. The most important innovation is that even when there is no electricity, the device can operate in this way, an important factor when working on robotic lines that may face sudden stops or blackouts. So you will save money and you do not lose sheets and glasses in the assembly line. AVG can also be equipped with a free flow SSX series exhaust silencer, and you can also order it in AVG__P configuration, with protection against shocks: to meet industry-specific protocols. The marble industry requires increasingly precise and safe gripping and handling systems. In this video you can see the efficacy of the new PVR 25 MS ejector, specifically designed for this industry. 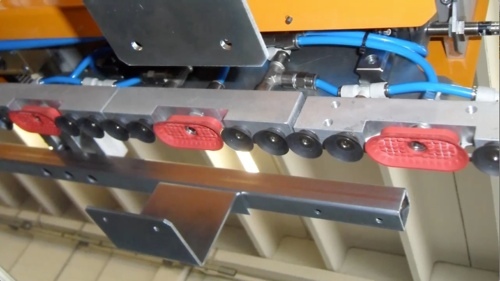 Vuototecnica recommends using this new ejector, which can be integrated directly with the suction cup, on block cutting machines and strips of marble in the presence of dust and water. In particular, to grip and handle marble and granite slabs. Its shape allows dust and small processing residues to be suctioned without clogging. Everything is discharged in the atmosphere through the ejector. PVR 25 MS is equipped with a standard SSX free flow silencer and can generate a flow rate of 9.6 m3/h. 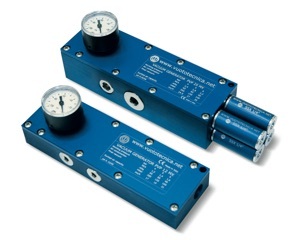 The vacuum level is equal to -700mbar (70%) with a 3 bar operating pressure. Being integrated with the suction cup allows the reduction of negative volumes to be emptied; this way the suction cup can grip the slabs at a faster rate. Moreover, it is equipped with a standard 12 05 10 digital vacuum microswitch, a small device that sends a precise signal to the control panel in only 0.1 milliseconds as soon upon reaching the required vacuum level. This is particularly useful when handling travertine slabs, which have an uneven and perforated surface. Thanks to the prompt signal that the 12 05 10 vacuum switch sends to the automation, it is easy to see which vacuum cups are in gripping mode and if there are enough of them to handle the load. This is a major difference with central vacuum systems (with rotating vane or liquid ring vacuum pump), where it is difficult, if not impossible to understand which and how many vacuum cups are in gripping mode, thereby making load handling less safe. 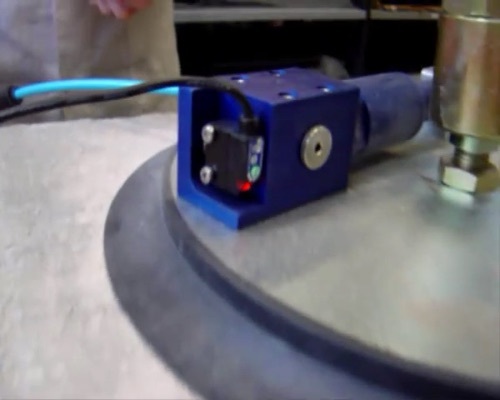 The particular shape of the internal resting surface of the round flat suction cup shown in the video allows for a high friction coefficient and a practically perfect seal. The 08 … 40 series of vacuum cups is equipped with double sealing lips, which makes it easier to grip particularly rough surfaces, such as that of sawn marble. One of the greatest limitations that the field of industrial automation has always encountered in its efforts to replace human beings on production lines is the lack of flexibility and manoeuvrability that the human body itself is capable of. This is particularly true of all movements involving the tilting of surfaces or the rotation of specific elements. These types of movements are extremely important in every industrial sector, and even more so in the automotive industry, when the curved and uneven surfaces of car bodies or special moulded plastic elements need to be extracted from the production presses, for example. Thanks to a number of intelligent engineering solutions, Vuototecnica has succeeded in obtaining this ease of handling, even in situations where the extraction of the pieces or elements was difficult in the past. Vuototecnica’s positionable articulated joints (GSV and GSVF), made from anodized aluminium, replicate the flexibility of the human body and combine it with the strength and speed of the most advanced robotic solutions. These joints allow the installed vacuum cups to be rotated 360 degrees and to be tilted on their axes by up to 35 degrees in order to properly position them with respect to the gripping surface on the object to be handled, while at the same time ensuring a perfect grip and proper suction through the joint itself. They are available in the catalogue with standard male or female threading, 1/8″-1/4″-3/8″ gas. They are recommended for use with grippers in conjunction with maxigrip cups, which are perfect for the automotive industry and all EOAT (end of arm tooling) applications that require the vacuum cups to be adapted to convex, concave or contoured surfaces. The “vacuum” concept has interested the most brilliant minds since ancient times. 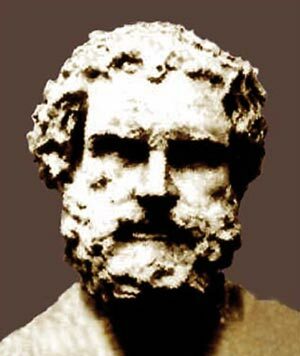 Just think of Democritus in ancient Greece, who identified atoms and the vacuum as primary realities. Or studies conducted on the compressibility of air during the Hellenistic Age. The first to theorise about vacuum properties, in 1650, was the scientist and jurist Otto von Guericke, who laid the foundation for the development of modern technology now employed daily in many industries. Throughout history, physical science developments and the momentum of technical research have driven the need to create equipment that produces and measures vacuums. The most strategic and innovative applications of what is now referred to as vacuum technology, has fascinated Vuototecnica since the 1970s. Since then it has used vacuum technology to continuously improve its vacuum solutions, globally expanding its technological innovations and the services it offers. To learn more about Vuototecnica‘s story and the future of vacuum technologies, contact us for a visit at our new headquarters. Each type of food has its own distinct qualities. In order to preserve it the best way possible we need to get to know the foods and how various food groups can be matched together. Also, there are different cooking and heating methods that will affect the wholesomeness of food nutrients. Some conservation methods can be applied by just about anyone; industrial production derives its preservation methods from the experience that has been accumulated throughout history, and it applies that experience to larger quantities. There are food conservation methods that have been passed down generation to generation and that can be re-evaluated now that we have new scientific and technological discoveries. 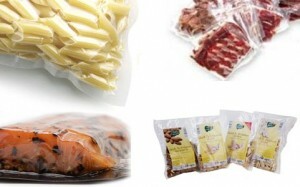 One of the most utilized methods that guarantees correct and balanced food conservation is vacuum packing. Vuototecnica supplies its clients with the very best technology for correct food conservation. The solutions most often used are not always the most advantageous. Vuototecnica has always been involved in researching new, innovative solutions to improve industrial processes. In this context, the pneumatic vacuum suction pump represents a real evolution compared to traditional electric rotary vane pumps. For an “on field” evaluation of the advantages of using this vacuum pump, we went to Essepi srl, a company that produces plywood and multi-layer components for the chair, furniture and home furnishing industries. The company chose to install, on a 4-axis work station, the PA140 pneumatic vacuum suction pump created by Vuototecnica, to replace the classic oil bath rotary vane vacuum pump that is commonly used. We asked ourselves: Why didn’t we discover this device earlier?!? We would have saved a few thousand euros and all the machine downtime resulting from maintenance and the repair of old pumps. We met with Michele Basin, Manager of Essepi’s Technical Office: "The yield of the new PA140 pump is absolutely amazing. With this simple and compact device, we are able to obtain the same vacuum level as a classic oil bath pump, eliminating all wear and maintenance problems once and for all. Frankly, we wonder why the manufacturers of CNC machines do not provide the P140 suction pump instead of the usual very expensive vacuum pumps. Its initial vacuum starting power is greater and allows for the instant locking of pieces such as bodies, which have uneven surface curvatures". 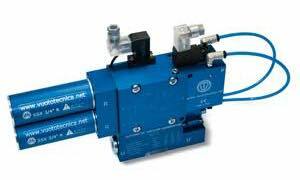 Could the Vuototecnica vacuum suction pump also be an ideal solution for your other machines? "Without a doubt we will gradually replace the old vacuum pumps with the PA140 on all of our machines. Ultimately, the device costs basically the same as a complete maintenance operation of the old pumps, and vane replacement". Vuototecnica shows its attention to energy saving and the great vocation of technological innovation with its production of a wide range of vacuum components. The monthly magazine “I quaderni dell’Aria Compressa” will go in-depth into Vuototecnica product guarantees, devoting two pages of its March 2011 issue to two Vuototecnica vacuum solutions. “I quaderni dell’Aria Compressa” is an Italian magazine, published by “EMME.CI. Comunicazioni e Servizi S.a.s.”. Since 1995, it has dealt with products, techniques, applications and much more related to compressed air. 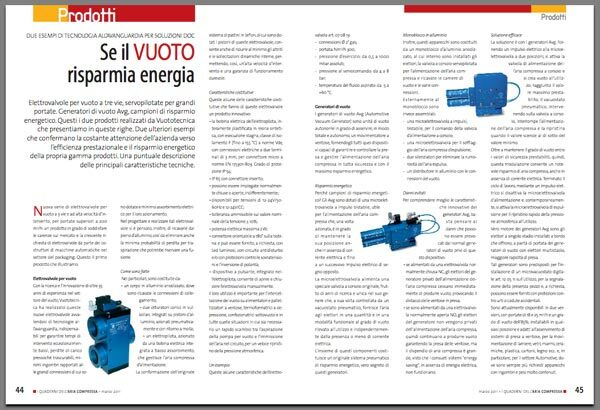 The article dedicated to Vuototecnica takes a look at the three-way vacuum solenoid valves, pilot-operated for large capacities and the AVG vacuum generators: two solutions that are proof of Vuototecnica performance efficiency and the company’s constant attention to energy savings. Download the “I quaderni dell’Aria Compressa” magazine. Do you want to increase your company’s profitability and competitiveness? Thanks to the most innovative vacuum technology, Vuototecnica has been developing standard, specific and customised solutions for more than 35 years, to help its clients increase company productivity in automation processes and improve their work environment. Errors made during handling, moving or lifting can result in breakage, waste, production loss and non-recoverable costs. Vuototecnica offers you the ideal solution for moving any type of product using a safe technology that is guaranteed and tested by expect technicians. The satisfaction of our clients is a guarantee of success. Contact either Vuototecnica directly or one of our distributors to find the solution best suited to your needs.